GIVENCHY is couture in every sense of the word. Ever since it was founded in the early 1950s, the atelier has pushed boundaries by dressing women in masculine silhouettes that were designed to liberate and empower – it was the beginning of power dressing as we know it today. And the origins of the GIVENCHY house still stand, expanding from fashion into beauty with an offering of statement luxury makeup that gives women the power to express their creativity. 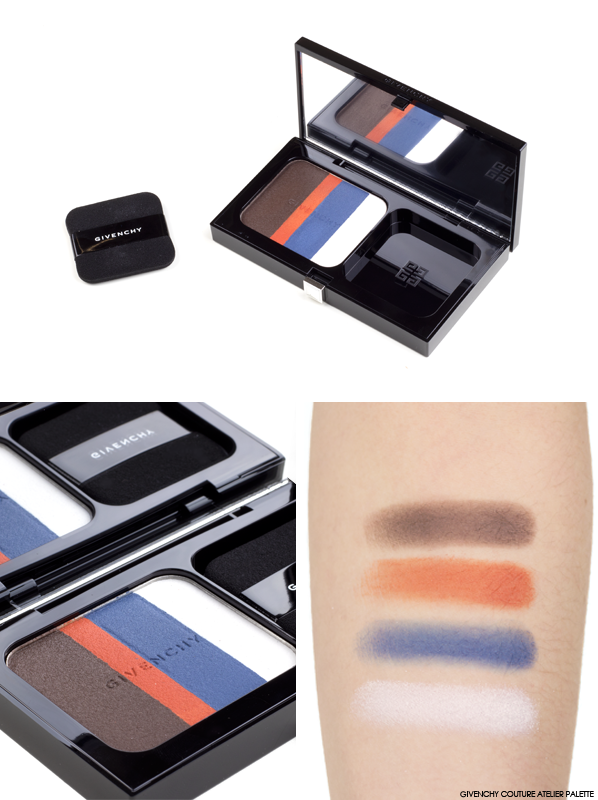 As I mentioned above the GIVENCHY Couture Atelier Palette is inspired by GIVENCHY’s couture studio, however, the inspiration goes far beyond that. For this palette, Nicolas Degennes has been inspired by stockman mannequins. The limited edition graphic palette features four matte eyeshadows that can be used on the eyes and brows – talk about creative freedom! 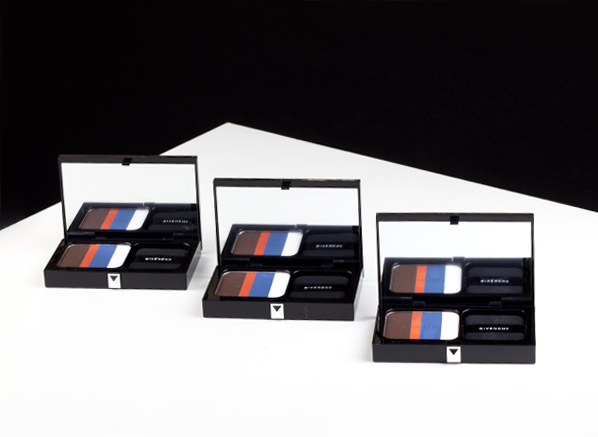 The rich, deep brown symbolises the wood of the stockman and acts as the perfect shade for structuring both the eye and brow, the orangey-red and navy blue recalls the designer tape used in the studios, while the white is an ode to the cotton canvas that covers the bust. And it’s not just the shadows that give a nod to a couture studio either, the square applicator is typical of the chalk used by designers to sketch designs onto patterns. Each eyeshadow in the Couture Atelier Palette has the same very matte texture, which is super soft and easy to blend. The formula contains a mixture of silicones and 3D polymers, which create a creamy, long-lasting result. As you can see from the swatch above they offer immediate coverage thanks to a high percentage of pigments, and for an even deeper colour payoff, you can apply them with a wet brush. 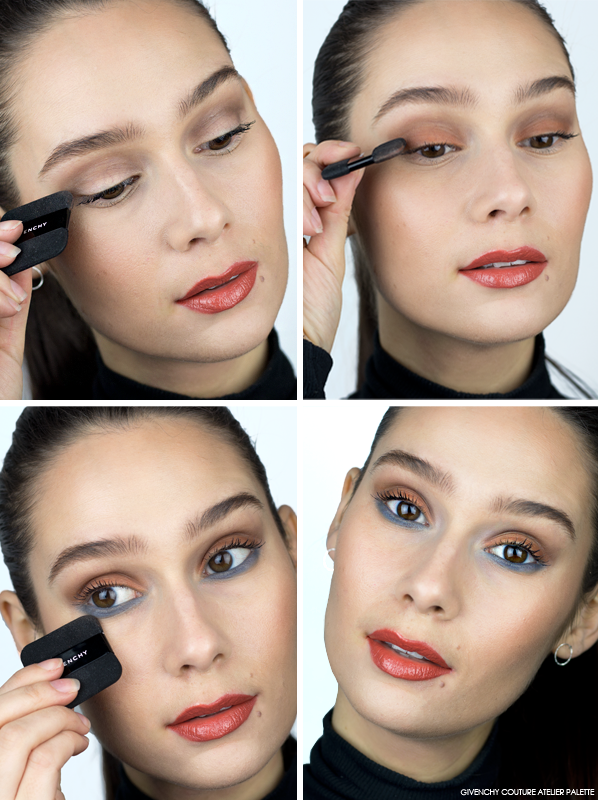 Step 1: Firstly apply the dark brown through the crease and blend upward with a fluffy brush to add definition to the eyes. Step 2: Next, glide the orange-red shade all over the lid, blending it upward with the brown shade that’s running through the crease. Step 3: To frame the eyes apply the navy blue shade underneath the eyes from inner corner to outer corner and blend until the edges are blurred. Step 4: As a finishing touch apply the white shadow to the inner corner of the eyes to make them pop. This entry was posted on Thursday, January 18th, 2018 at 9:58 am and is filed under Make-up, New products, Spotlight On, Swatches. You can follow any responses to this entry through the RSS 2.0 feed. You can skip to the end and leave a response. Pinging is currently not allowed.